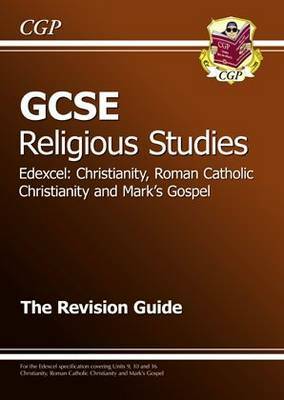 This book is full of clear revision notes for GCSE Religious Studies students studying Christianity, Roman Catholic Christianity and Mark's Gospel for the Edexcel exam board (Units 9, 10 and 16). There are practice questions at the end of every section to check how much you've learnt, and there's a useful section at the back with loads of tips and example answers to help you do well in your exams. There's also a full glossary to explain those tricky technical terms. It's all explained in straightforward language with the odd joke thrown in to help break up the revision!